RUSH: I wonder what happened out there, folks. I wonder what happened. Trump has canceled — I’m sorry. Wrong word. Trump has postponed the health care plan until after the 2020 election. Happened last night. Trump postponed his plans to make Republicans into the party of great health care. Look. I understand this. Let me tell you what I think happened. I haven’t spoken to anybody. Well, I mean, I haven’t spoken to anybody in the White House or anybody associated with any of the presidential strategery on this in quite a while. But remember it seemed out of the blue the president started talking about reviving health care again, getting rid of Obamacare, just a week or so ago, after suffering mightily from doing so in the 2018 midterms. Everybody is scratching their head, “What’s going on?” And I was among those scratching my head saying, “What’s going on?” Because the border situation is getting worse by the day. That’s the issue Trump got elected on. It’s the issue he campaigned on. And out of the blue it seems like it vanished from the top of the priority list and was replaced by Obamacare. Now, I think the president has a lot of people around him who have, shall we say, mutual interests. They want what’s best for the president, and they want what’s best according to what they think. And, if any of those people, if any of those advisers happen to be of the traditional Republican, Washington mind-set, they’re gonna be defensive. They are going to preoccupied with what is said about them, primarily in the Drive-By Media. There is also a desire on the part — I think this is genuine on the part of the president. 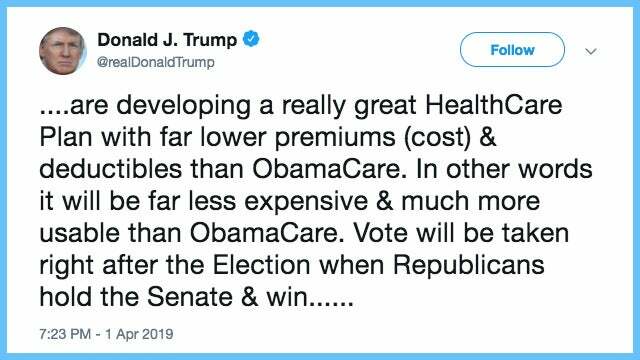 It’d be great — he even said this in his recent revival — to push a total abolition of Obamacare, that he wants the Republican Party to be the party that’s associated with great health care for everybody. That would be a massive transformation. You know, Obamacare, it’s got his name in it, and it’s health care for everybody, and a lot of dummkopfs think it was free. And so trying to wrest that mantle away from the Democrats would be an admirable thing if Republicans could be associated with health care, but not single payer. Not Medicare for all. So they have to come up with a program, and they hadn’t. And that is a tangible issue. Health care. Everybody needs it, everybody uses it, everybody’s focused on it, everybody’s worried about it. So if you can be the guy that solves it and removes the worry and the threat and comes through with a plan that enables people to access health care with as little pain as possible, then you stand to benefit greatly. On the other hand, the issue at the border involves what? Well, it’s not as tangle as health care, in terms of perception. If you live in Pennsylvania, if you live in Wisconsin, Illinois, if you live anywhere but in a border state, you hear about it, you see pictures about it, and you may be impacted by the arrival of criminal elements of the illegal immigration so-called community. But it really isn’t as tangible to you as it is to people that live in border states. And it certainly isn’t as tangible as something like health care is. You can reach out and touch it, is what I mean by tangible. And it impacts everybody on a personal level, much more than illegal immigration is perceived to. I think illegal immigration has a far greater deleterious effect on our society and culture at large than anybody is willing to admit or discuss openly. So I think it’s even much more tangible than health care is, but the perception is not that. In addition, who is it that is illegally crossing the border? They are people of color. They are brown people, they are black people, they are Latinos and you run the gamut. And so it lends itself for instant demagoguery. The president is opposed to immigration because he’s a racist. And I think there’s some advisers in the president’s circle who have this sensitivity, that any opposition to illegal immigration can easily be tagged as racist or bigoted or separating children from their mothers, it’s so horrible. And all you need is one picture of each allegation to make the point. So I think there’s a lot of advisers around the president who are telling him that the biggest “oomph” possible policy-wide would be to come up with something that fixes health care, that makes it known to everybody the Republicans did it because it affects virtually everybody, stand to gain one heck of a lot. I think this is some of the advice that he’s getting. I don’t want to name names because I don’t know for sure. So I don’t want to sit here and speculate. See, it was just last week that the president was trying to move this forward, seemingly out of the blue with his singular identity and push on the immigration issue seemingly taking a backseat or even an invisible seat. There’s also something else involved in this health care business and that is even among Republicans in the Senate, they just didn’t seem to have the desire to move forward on this. Democrats ran on improving the health care system in 2018, and they won. I think ultimately that something singularly bothersome hasn’t changed, and that is the defensive mentality that exists among Republicans in Washington. Never Trumpers outside of Washington, wherever they are, but certainly those inside the Beltway. And the defensiveness stems from being afraid of media allegations which then become Democrat Party allegations, and those allegations always revolve around it’s racist, it’s bigoted, or it’s sexist or it’s homophobic or what have you. And so policy wizards seek to come up with ways to avoid those allegations, and that’s why I think they singled in on health care because everybody would benefit and everybody would think the Republican Party is wonderful and very cool if they fixed it. So now the president is going to pivot back to immigration and not a moment too soon. It remains the singular most important number one issue. And the Democrats are scared to death of the president focusing on it. His threat last week to close the border has them going bonkers, alleging that it will kill the American economy, destroy whatever economic momentum we’ve got. Except they’re out there saying that there isn’t all that great an economy, Trump’s lying, he’s making it up. But then when it comes time to disparage shutting down the border for a while, all of a sudden the economy’s doing well enough that the Democrats can run around and talk about the damage that will occur if Trump does this. But it’s patently obvious why the Democrats don’t want the border shut. 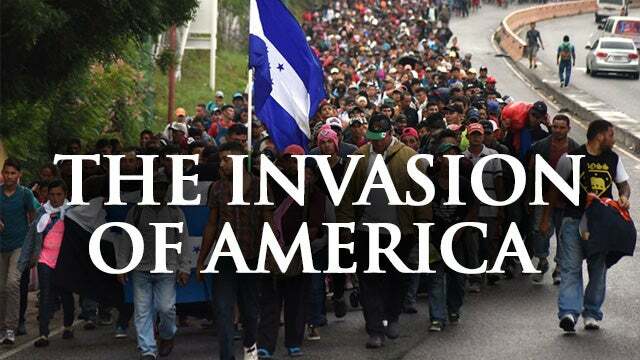 It’s patently obvious why they want this continuing invasion, this flow of people into the country. I think what’s misunderstood about this issue is the amount of support for getting a handle on this and stopping it that there is all across all spectrums of our population. I believe that if Trump does this right, if he did it right, that 50% of Hispanics would support him. And I think 75% of the public would. And I think the Democrats know this. And I think they’re scared to death of it. They don’t want anything to happen to give the president that kind of confidence. When you compare health care to solving the border issue, which of the two is more complicated, do you think? You might think that’s a tough question. I frankly think that health care is much more complicated to solve, comprehensive health care reform is much more complicated to solve than simply making a decision to enforce the law tto fix immigration! All we gotta do is enforce the law! To fix illegal immigration, it’s just a matter of getting tough and enforcing the law, listening to the Border Patrol people, listening to ICE. Meanwhile, Luis Gutierrez is out there saying we need to be building welcoming centers all over the country, not just at the border. Welcoming centers all over the country. Of course, Luis Gutierrez, Democrat, Illinois, member of the House, thinks that, because that’s exactly how they want to be seen greeting these people. There is a simple violation of law taking place here, and nobody seems to address that aspect of what’s going on. But to those of us who think immigration is the singular problem we face, the fix is not that complicated. Enforce the law! “It’s so hard, Rush, because you would have to tell people ‘no.’” Well, for crying out loud, we tell ’em they can’t rob banks every day. We tell people they can’t kill each other every day. We tell people all kinds of things every day that might hurt their feelings or might disappoint them or might deny them things. “Yeah, but this is different. These are people that are suffering and they’re fleeing war-torn poverty and we just can’t say ‘no.’” For the benefit of the world we better say “no” because if we cease being who we are, the world has no place to turn to, which in fact might be an objective of some of the anti-American hating leftists around the world. But health care is so complicated to sell, by the way, the Democrats could ruin Trump as they did in the midterms, especially if the program you have is not fully formed and one that you can’t present as an alternative to what you’re getting rid of. But these mobs, that’s a whole different tangible thing that you can see if the photos are right. And I’ll tell you what’s happening out there. 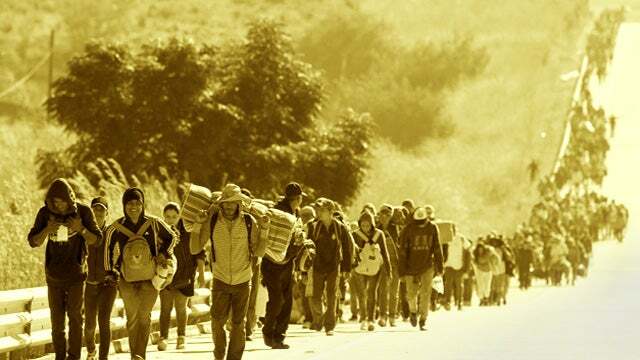 Once these mobs approach and these gigantic caravans, there isn’t 50% support for them. The media lies like they always do and makes it appear as though there’s that kind of support, but there isn’t. So I hope that what this means is the president is shifting focus and shifting funds ASAP back to immigration and back to the border. It remains the thing that could end up tearing this country’s fabric and foundation apart. Not because these are bad people. This is another thing that needs to be — It’s not because these people are bad. A, the lawlessness is a fundamental problem. Once you signal it’s okay to break the law in one place as big as this, then it’s all downhill from there. But secondarily, we don’t have any assimilation program. There is no effort on the part of a major political party to have these people even become functioning Americans and participating in a functioning American culture. And the reason for that is that that party doesn’t believe in this functioning American culture because they think it’s tainted from our founding. And they think it’s corrupt, and they think it’s injustice and immorality on parade. They believe none of our past problems can be fixed because they are eternally etched in our existence. Therefore, the existence needs to be thrown away and we need to start again and rebuild this great socialist utopian empire. Well, you can’t have a major political party thinking that and at the same time focusing on assimilating these — and, by the way, it’s gotta be much more than 11 million people now. But if we’re not gonna make any effort to assimilate them and have them actually become Americans for the reason they claim to be coming here, then we are Balkanizing our society and culture and we are expanding the welfare safety net, the hammock, whatever you want to call it. And this is perfectly fine with one of the major political parties in the country because they have people that literally think none of any of this is ever going to change their lives. None of it’s gonna ever impact their lives. They’re not gonna ever live close enough to these people. They’re not gonna live close enough to the border. It’s for everybody else to put up with, which is much like all of socialism or liberalism is. The leaders devise these rules for everybody else, but they exempt themselves and they never suffer the pain that they inflict on everybody with their policies and regulations and what have you. So I hope this signals a renewed focus on securing the border, stopping this invasion. Mexico, by the way, is saying they are not gonna block caravans from entering through Guatemala. “Mexico’s top immigration official said Monday the country will not order the militarization of the border with Guatemala as caravans of residents from Central American countries make their way north. See, nobody’s repressive. Mexico doesn’t care because they know they’re not planning on stopping there. Bottom line is, no help. We know exactly now that President López Obrador’s vows are worth nothing. So it’s always up to us. RUSH: President Trump also yesterday called on the Democrats to work with Republicans to address broken asylum laws quickly. Now, they will ignore him unless he does something to get their attention like stop or heavily tax the remittances sent from us to the countries south of the border. But the president “urged Democrats to work with Republicans to address U.S. asylum laws quickly, the latest push from the president to refocus on immigration after he threatened last week to shutter the southern border. 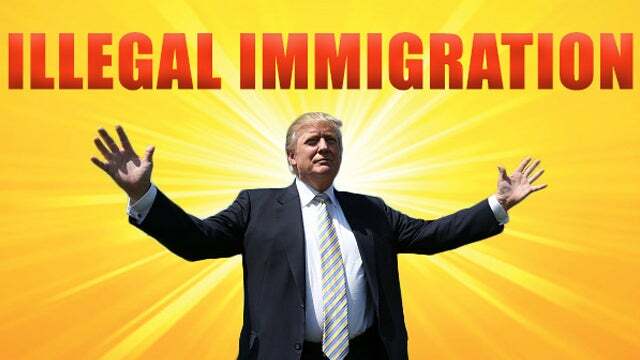 … Trump suggested on Sunday night that his administration could take action if Mexico and Congress do not prevent further illegal border crossings.” And he’s considering appointing a czar to oversee the immigration agenda. But Trump is adamant that the citizenship question — Can you believe the Democrats going to the mat over that? Well, I can. They don’t want the citizenship question because they don’t want two things. 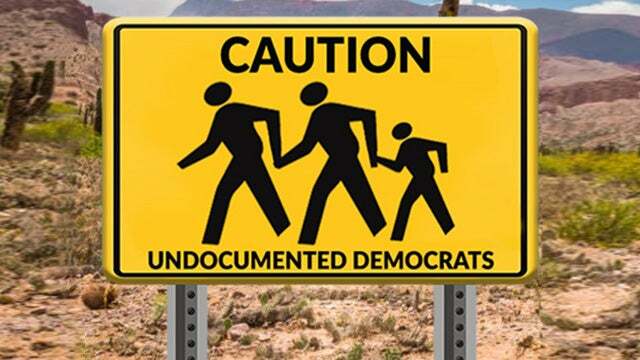 They don’t want the illegals hiding and returning to the shadows to avoid being counted, and they don’t want the actual number of noncitizens related to illegal immigration counted. They don’t want that number to ever be known. Because if it is, if it were ever known how many illegal immigrants are in this country, it would shock people and rally them. So the Democrats don’t want any part of that. Trump is insistent on it. I love this word “loophole.” Loophole in the asylum program. There aren’t any loopholes. It’s like somebody writes a law and then purposely puts in a way to break it. That’s the way loopholes — like tax loopholes or Second Amendment gun law loopholes. Aren’t any loopholes. There are just ways around law. Everybody’s creative. But loopholes give the idea that there’s something not right there that needs to be shut down. What needs to be fixed is asylum law, not the loopholes. I don’t want to spend a lot of time arguing semantics. I mean people think loopholes are something and if that’s what it takes to communicate to them, fine, I’ll say it, we need to get rid of the loopholes. But it’s not actually what’s is happening. We just need to fix and revise the law. RUSH: To the phones we go. This is Hector. Hector is in El Paso. Great to have you, Hector. How are you doing today, sir? CALLER: I’m doing great, sir. Appreciate you taking my call. RUSH: Yes, sir. Any time, any day. CALLER: Yes, sir. The reason I was calling was, why cannot Trump do both immigration and the insurance? And let me just make my point. You know, I’m an American of Hispanic descent. My parents came back into America in the sixties, but they did it the right way. They got in line, they got everything in order, they got processed, they came here legally. All right? CALLER: — no matter what the media tells you. RUSH: Wait a minute. Whoa, whoa. Let me ask you, you think that Trump should just go to the insurance companies, or call ’em in the White House, have a meeting with the media there and demand that they just lower the deductibles? You think he has the ability to do that? RUSH: But wait a minute, now. RUSH: Hector, insurance is based on actuarial tables and statistics and odds and never having to pay off except during the most obvious disasters. RUSH: And you can’t tell the insurance companies their actuarial tables are wrong. You can’t go in there and demand — just like he couldn’t bring Boeing in, “You get that airplane in the air, I don’t care what your software problem is, that airplane needs to fly. He can’t do that. RUSH: He’s got the whole world in his hands, he got the whole wide world. CALLER: Yes, sir. He’s that kind of person where, you know, he’s actually looking out for the best interests of America first. RUSH: And making America great again. CALLER: Of course. You know, something that the other presidents have not done, and they tell us, “Oh, yeah, we’re for you, we’re for you.” But no. 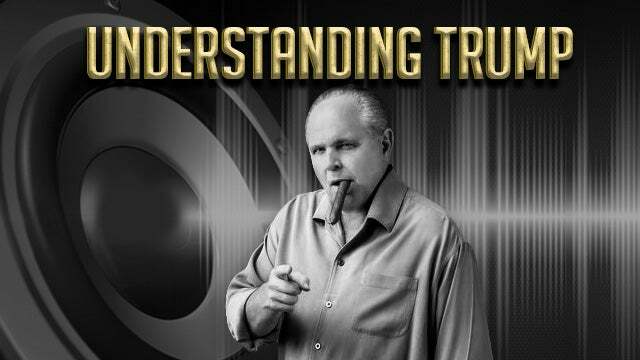 RUSH: But Trump is. Trump is for you, looking out for you. Well, Hector, I’m glad you called. I’ve run out of time. I’m sorry. But I appreciate the fact that you got in. His early point we didn’t get to zero back to but do both at the same time, health care and immigration at the same time. I think this illustrates what Trump voters really want to happen. I mean, they really expected rapid change here during the campaign of 2015, 2016. Anyway, Hector, thank you. RUSH: Steve in Chicago as we head back to the phones. I’m glad you called, sir, and waited. Hello. CALLER: Hi, Mr. Limbaugh. Thank you for taking my call. CALLER: It’s an honor to speak with you. I have a couple idea questions that I wanted to run by you. First thing was since Mexico doesn’t seem to want to cooperate and let people just parade through their country, why doesn’t President Trump just pick up the phone, call the president of Mexico and say, “Listen. Since you don’t want to help us, here’s what’s gonna happen. We’re gonna raise the remittance so all the people that come here legally and illegally and wire billions of dollars back to Mexico, we’re gonna raise the tax on that so high that you are going to defend your border.” And there’s nothing that they can possibly do about that, I don’t think, unless maybe it’s illegal. And the second thing, I’m a little confused. If President Trump didn’t collude, if there was no collusion, what did he obstruct? Don’t you have to have a crime or something to obstruct? RUSH: No, no. Let me explain this. Your second question first. If there’s no collusion, what did he obstruct? Just because a law wasn’t broken doesn’t mean that a perp can’t try to foul up the investigation. 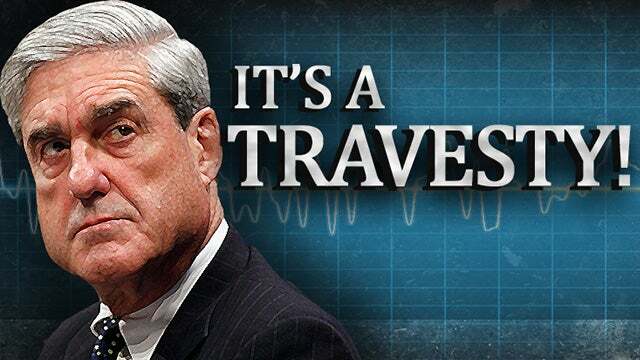 I will guarantee you — well, I shouldn’t guarantee it, but I won’t be surprised if Mueller says that every time Trump called his investigation a witch hunt that he was trying to obstruct it, that he was trying to smear it, that he was trying to cloud the honor of the investigator with public claims that it was nothing more than a witch hunt. Mueller, I wouldn’t be surprised at all if he considers Trump obstructed him a thousand times or however many times he called it a witch hunt. RUSH: Well, because he was the target. I mean, we can say it day in and day out, but we’re not targeted, you and me aren’t, that we know of. CALLER: So what do you think about the remittance? Do you think President Trump could raise the remittance tax to force Mexico into helping us? ‘Cause they’re not doing a thing for us. Now, whether Trump can do things on the remittances and tax these people and the money they’re sending back home to make it worthless to the recipients, that idea has been brought up. It has been mentioned. I don’t know how quickly it could be done. Maybe the threat of doing it. But right now I don’t think anything is gonna stop this. 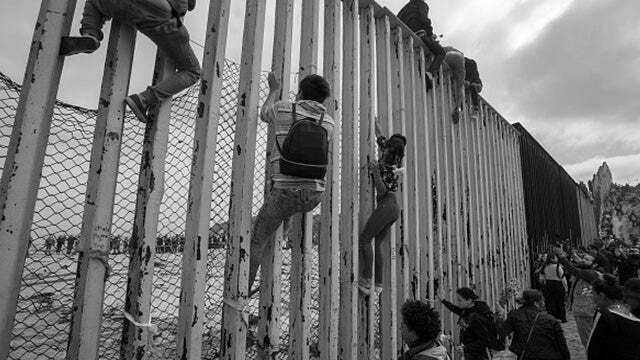 If Mexico did put their military on the border, these people would try to find another way. There’s something behind this, folks, all these caravans amassing. This just doesn’t happen organically. This is part of a targeted political project to flood this country and to paralyze the Trump administration. And here you’ve got a guy — look at it this way — here you got a guy that got elected on build the wall, got elected on stopping this, got elected on shutting down illegal immigration. What happens? We start getting flooded. Now, initially, the flow of people coming in really slowed down to a trickle because initially there was fear that Trump was serious and meant it and it was gonna be impossible to get into the country because he made it abundantly clear during the campaign that this was the defining thing of his campaign as president. So I think the effort here is to show you and other Trump voters that this guy cannot do for you what he said he was gonna do. It’s all part of defeating Trump. It’s all part of getting Trump out of office. I think this is a political project that has a lot of donors and a lot of organizers, and they are down in these Central American and Latin-American countries and they’re rounding up people, and who knows how they’re doing it. But the coyotes are being paid through the nose to bring people up here. People are going into these caravans, they’re making this long walk. How the hell are they doing it? What are they eating? What are they drinking? Where are the Port-A-Potties? There’s so many logistics that have to be made available for something like this to happen, and apparently they are. But what we’re being told is that it’s just a mass of humanity fleeing oppression coming to the beacon of hope and light. And how can we say “no”? These people just want a better life, and they realize that this is where they have to come. That’s the reaction to it. But the real part of this, the political part of this is to demonstrate that Trump can’t do what he said he was gonna do. They are trying to make you think that your vote was wasted and that the next time you vote for a guy who promises to close the border or shut down this massive invasion or anything else, is not gonna be able to do it because the power is there to stop him. So they’re trying to do a bunch of stuff here. They’re trying to stop Trump, they’re trying to get Trump thrown out of office, they’re trying to get Trump defeated in 2020, and they’re trying to make sure that as many of you as voted for Trump learn real fast that it’s a waste of time to vote for him or anybody like him in the future, because nobody can beat the establishment, nobody can beat the ruling class. The ruling class will align and they will unify and they will do whatever it takes to make sure these outsiders do not succeed. So I hear frustration. Your idea of remittances — and everybody has a different idea of how to punish allied nations that won’t help us or how to put obstacles in the way of the illegal immigrants themselves, because in your mind it just doesn’t seem this hard. Close the border. Shut it down. Enforce the law. What is so hard? We enforce the law everywhere else in this society. Well, you know the big one. And I’ve maintained this — Snerdley, back me up on this — I’ve maintained this for the entire time I’ve been doing this program. The biggest, absolute-without-comparison, violation of law is abortion. Once you signal that it isn’t any big deal to snuff out a human life for the convenience of the living, then what the hell else is any law worth? Once you cheapen human life, then the rest falls by the wayside rather rapidly. And I think if you want to examine why 5- and 10-year-olds shoot 3-year-olds, take a look at abortion. Not that they’re paying attention to abortion. Just the fact that everywhere around them life is cheap. And the Democrat Party is obsessed with their ability and their desire and their demand to be able to get rid of people they don’t want to have to deal with — babies, elderly people, you name it. And after enough years of this go by, there’s an osmosis about it. So we’re paying a price here for a bunch of moral depravity, and we’re paying a price for ignoring fundamental, crucial law, which means the rule of law. There’s gonna be a price to pay when all of that happens in such a concentrated period of time. THE PRESIDENT: I haven’t made that intention known and I’m ready to close it if I have to close it. Mexico, as you know, as of yesterday, has been starting to apprehend a lot of people at their southern border coming in from Honduras and Guatemala and El Salvador and they’re really apprehending thousands of people and it is the first time really in decades that this is taking place and this should have taken place a long time ago. So Mexico has — as of yesterday made a big difference. You’ll see that because few people, if any, are coming up and they say they’re going to stop them. Let’s see. They have the power to stop them and the laws to stop them. And what we have to do is Congress has to meet quickly and make a deal. I could do it in 45 minutes. RUSH: He means he could shut the border in 45 minutes. But this business they have the power to stop them and the laws — so do we. We have the laws to stop it. We’re not enforcing them. We haven’t enforced them in God knows how long.